IT'S the prestige awards ceremony which honours the best and most popular in the Australian television industry. But the Logies has also played host to some of the most awkward - and talked about - moments of live television. Ahead of this year's Logies on July 1, here are some of the most controversial moments from past events. One of the event's most memorable moments didn't happen on the night. 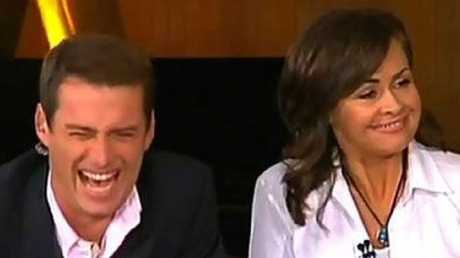 Karl Stefanovic made headlines for his infamous 2009 post-Logies broadcast on Today. The TV host slurred his words and broke down giggling several times, admitting in 2014 that he perhaps had one too many the night before. "It wasn't any different to any other year - we all get smashed at the Logies and go to work the next day; we'd done it for years and years. But this was the first Logies when stuff really started working on the internet," he said in an interview posted on Youtube. "I remember seeing it on Today Tonight and going, 'Oh god.' I really was drunk, or at least I certainly looked and sounded drunk." 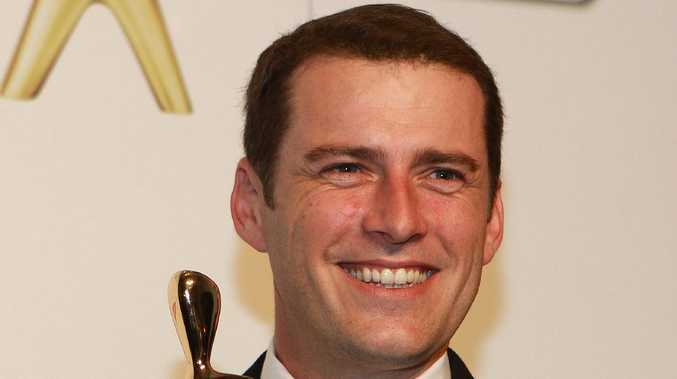 Accepting the award for most popular presenter in 2011, Stefanovic had another noted Logies moment when he told viewers his then-wife Cassandra Thorburn had "the best arse I have ever seen". His off-the-cuff comment caused a stir, with Channel 7 presenter Johanna Griggs slamming the Today presenter for mentioning his wife's behind on the family-friendly show. 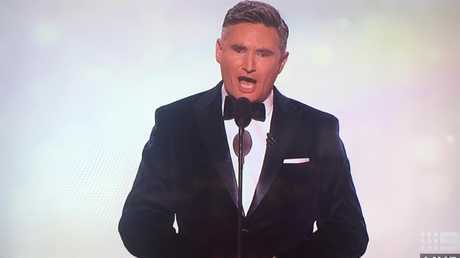 Comedian Dave Hughes' opening speech when hosting the 2017 Logies reportedly cost him a gig on Channel 7. The radio host took aim at Olympian Grant Hackett's mental health battle, complaining that the swimmer had become "a bit whingey". Hughes also mocked Stefanovic's highly publicised love life and the affair scandal surrounding Seven CEO Tim Worner at the time. Hughes later claimed his joke about Worner had cost him a spot on Seven show Behave Yourself!, however, this was denied by the network. At the 2015 Logies Julia Morris announced The Voice Australia as the winner of the outstanding entertainment program category - without naming any of the other nominees. The I'm A Celebrity host didn't realise her mistake until after Voice star Ricky Martin had come on stage to accept the award. 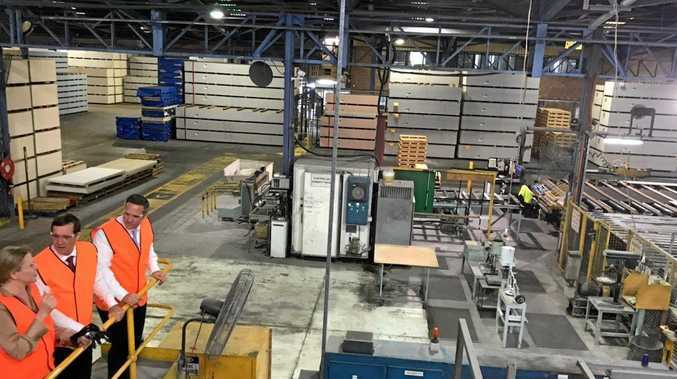 "It's live, don't tell anyone, we can cut it out later," Julia said as she realised what she had done. "We're going to talk about the nominees later when I'm in really big trouble. It's just inappropriate to talk about who they are now." The Logies is known for trotting out international celebrities to spice up the ceremony, but the late Joan Rivers' 2006 appearance at the Logies will be memorable for all the wrong reasons. The red carpet queen appeared to have had one too many glasses of champagne when she let rip at Australia's A-list. "They don't know who the sh*t I am. I don't know why the f**k I'm here. I know him (pointing to Wilkins) and I know you're all famous (gesturing to audience) and I hope you all win. I know I'm sitting with important people, I don't know who you are." When Wilkins handed Rivers her trophy, she declared it the "ugliest award I've ever seen" before throwing it. Awkward. In one of the Logies' most infamous moments, Bert Newton risked an international upset when he referred to Muhammad Ali as "boy" in 1979. Appearing beside the boxing legend on stage, Newton told the audiences "I like the boy", apparently not realising the expression could be interpreted as a racial slur. A shocked Ali responded by asking if Newton had said "Roy or boy", before going on to slam the Logie trophy. "I don't want to embarrass nobody, but is this real gold? What do you do to win one of these? Is this a big thing?'' the boxer asked. "Twenty-three years for this? … I love the award, I like your style, but this gift is so cheap, I won't see you for a while," Ali hit back.